The Ports-to-Plains Annual Conference is scheduled for October 30 through November 1, 2018 in Del Rio, Texas and Acuna, Coahuila. With a theme of United We Build, the agenda will be packed with speakers looking to the future development of the Ports-to-Plains Corridor. See the article below and follow the link to portstoplains.com for information on the agenda, lodging, sponsors and registration. 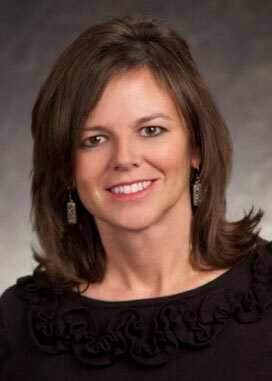 The issue of NEWSLANE introduces Hance Scarborough LLP as a new representative of the Alliance in Texas. With a focus on the expansion of Interstate 27, Hance Scarborough will work with the legislature, TxDOT and others. Finally, in Colorado, Ports-to-Plains Alliance is endorsing Proposition 110 which would provide $357.2 million for projects in Colorado on the Ports-to-Plains and Heartland Expressway corridors. See a summary of the proposition and its impacts on impacts on Alliance efforts in Colorado. The Ports-to-Plains Alliance Board of Directors is pleased to announce Hance Scarborough LLP will provide public policy consulting and governmental relations representation for Ports-to-Plains on policy issues and regulatory matters before the Texas Legislature, state administrative and regulatory agencies. This effort will focus on moving forward the recommendation made by the Texas Freight Mobility Study in 2017 which identified the extension of Interstate 27 from Lubbock to Laredo as one of two Strategic Freight Projects. Below is the description of the Strategic Project from the Texas Freight Mobility Study. The Ports-to-Plains (I-27) corridor from Laredo to Denver was designated as a high-priority corridor on the National Highway System in 1998, and in 2015, a TxDOT initial assessment report on the I-27 corridor found it to be critical to linking the energy and agricultural sectors to state, national and international trade. It would be a catalyst to spur economic development in this part of the state and support agricultural and energy sector development, the state’s economic engine. The I-27 extension would provide the only major north-south corridor in Texas west of I-35, and it would intersect three major east-west routes: I-10, I-20 and I-40. Currently, nearly 125 miles between Amarillo and Lubbock are designated as I-27. The I-27 extension would upgrade approximately 500 miles from Lubbock to Laredo at a conceptual cost estimate of $5.2 billion. TxDOT has recommended more detailed study of the extension to determine whether an incremental improvement approach or a complete interstate facility approach would meet safety and mobility needs. Cheri Huddleston will be working with the Alliance on behalf of Hance Scarborough as a legislative and public affairs specialist who joined Hance Scarborough, LLP in December of 2006. She has experience in public policy, government relations, and public relations. Ms. Huddleston served for almost 12 years as a senior staff member for a Texas State Senator. Through her tenure, she gained knowledge of the Senate and House Rules, the legislative process, researching topics, has developed continuing relationships with staff and office holders, helping draft legislation, and analyzing bills. Ms. Huddleston has extensive experience representing clients regarding issues as diverse as alcohol regulation, pharmacy, insurance, workers' compensation, public financing, economic development, and transportation. Ms. Huddleston meets frequently with policy makers and top administrators of state regulatory agencies. She is a graduate of the University of Texas and is the daughter of two practicing pharmacists. Changes have taken place in the organization over the past year. This conference will bring those changes into focus under the theme United We Build. In Texas, the expansion of Interstate 27 is one of our top priorities. Having the Texas Freight Mobility Study recommend that expansion as one of two Texas Strategic Projects provided a great opportunity. The organization must take that recommendation to the completion. Cheri Huddleston of Hance Scarborough will present on Moving Interstate 27 Initiative Forward. Alvin New, a new member of the Texas Transportation Commission, will be a Keynote Speaker. New is a business investor, rancher and former San Angelo Mayor. New is a life-long resident of West Texas and was born in Brownfield. He has lived mostly in or near San Angelo since 1981. The new Chair of the Ports-to-Plains Alliance, John Osborne will close out the first day speaking to the theme, United We Build. West Texas must be united in its efforts. John is the President/CEO of the Lubbock Economic Development Alliance. As usual, the conference will not only be informative, it will also be enjoyable. Our co-hosts in Del Rio, Texas and Acuña, Coahuila have planned a great showcase of their communities. We encourage you to send a delegation from your organization to hear the latest so we can learn how to truly carry out the theme...United We Build. We do have a special rate for members of $125 per person, so take advantage of that rate today. Any person you consider a representative of your organization is eligible for that rate. Make sure your passport/passcard is current for this conference! Additional information, as well as the working agenda, lodging information and registration, is available online by clicking here. Passage of Colorado Proposition 110 in November would provide funding to the Colorado Department of Transportation (CDOT) to bond $6 billion of transportation projects using the new revenue from a 0.62% increase in state sales tax. Proposition 110 is a result of a citizen initiative that successfully petitioned on the the November 2018 statewide ballot. All tax increases in Colorado require a majority of the voters in a General Election to vote Yes. Details on Proposition 110 are available at movecolorado.org. Specifically for the Ports-to-Plains Alliance are four projects totalling $357.2 million that will be included in the bonding program included in Proposition 110. Mobility: Addresses congestion issues through downtown Lamar and improves travel time for through traffic. Economic Vitality: Will reduce truck congestion downtown and allow for an improved downtown pedestrian experience. Other: Congressionally designated as a high-priority corridor (Ports to Plains). The highway—defined by its rural character, rolling farmland, and bisecting interstate highways—can be split into three logical segments: Limon to Brush (including Last Chance and Woodrow), Brush to CO 14 (including Snyder), and CO 14 north to the Colorado-Nebraska state line (traveling through the Pawnee National Grasslands). Mobility: CO 71 from Limon north to the Colorado-Nebraska state line is the only unimproved section of the International Ports-to-Plains Corridor, which spans from Mexico to Canada. Project Description: This project will reconstruct I-76 east of Brush in Morgan County with the reconstruction of both lanes of eastbound and westbound I-76, the interchange at US 6 and two I-76 bridges (spanning the BNSF Railroad and Bijou Creek), that are functionally obsolete. Mobility: Address safety concerns and system preservation. Other: Reconstructs two functionally obsolete bridges. Project Description: Project provides for the reconstruction of I-76 through FortMorgan in Morgan County. The project will reconstruct both lanes of the interstate in the eastbound and westbound directions, reconstruct interchanges at CO 144, CO 52 (Main Street in Fort Morgan) and the Barlow Road interchange with new structures. Mobility: The project will address safety concerns and system preservation.